As part of the Track Your Plaque coronary plaque reversal program, we advocate vitamin D supplementation. Vitamin D has been shown to reduce blood sugar and reduce pre-diabetic tendencies, reduce blood pressure (it's a renin antagonist, a blood pressure hormone), it's far more important for bone health than calcium, and it may help prevent colon cancer, prostate cancer, and multiple sclerosis. And, oh yes, it may facilitate coronary plaque regression. One lesson I've learned is that vitamin D MUST be taken as a oil-based capsule or gelcap. You'll recognize it as a transparent or translucent, sometimes opaque, capsule. The list of ingredients may say something like "cholecalciferol [vitamin D] in a base of soybean oil", indicating that the active ingredient is oil-based. 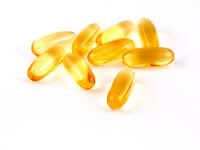 Oil-based vitamin D3 skyrockets blood levels of 25-OH-vitamin D3 in to the normal range reliably and easily. Tablets are a different story. These are generally white powdery tablets. The rise in blood levels of vitamin D3 are minimal, sometimes none. Women will often say "I get vitamin D with my calcium tablets." People taking this form almost always have blood levels of vitamin D that are low, as if they were taking nothing. If you're going to take vitamin D, the oil-based tablets are the way to go. They're not necessarily any more expensive. We've had good experiences with the Nature's Life 2000 unit capsule, as well as preparations from Life Extension. 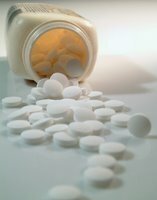 We have had negative experiences with the preparations from GNC, Sam's Club, and Walgreen's, all tablets and non-oil-based.